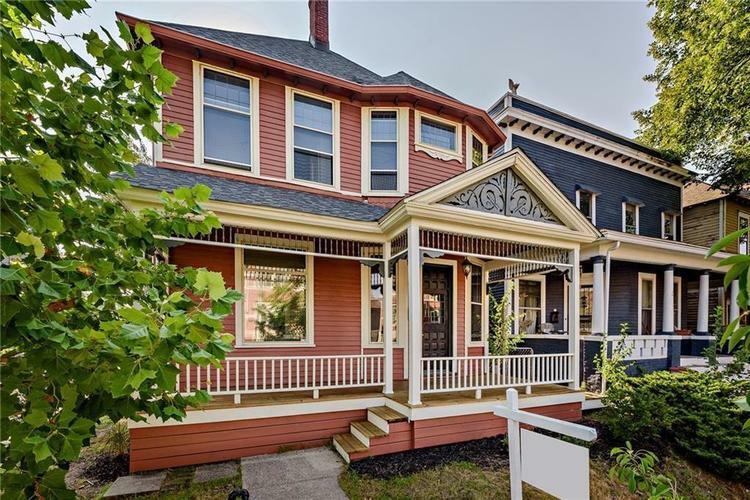 Old world charm meets modern amenities in this move in ready home in Herron-Morton! Stunning foyer with custom chevron wall greet you upon entering. High ceilings throughout. Custom kitchen with all new appliances original pantry/marble countertops and tons of storage. Spacious mud and laundry room on main level w/secondary laundry off master. Large master suite with walk-in closet and custom bath. 3rd floor bonus/rec room could be 4th bedroom with full bath and bar area. Great entertaining patio off the kitchen. So much to offer in such a great location. Walk or bike to local restaurants/shops! Directions:Take Talbott Street North from 16th and turn West on Charlotte Place. Home is on corner of Pennsylvania Street and Charlotte Place.